You Need A Budget Pro (YNAB) – Personal Finance Software Program cuts to the chase with your finances. The software focuses you on the foundation of your finances: the Budget. Experience has shown that when your budget is intact, and functioning correctly, everything else takes care of itself (the bills are paid on time, retirement contributions are made, and unnecessary debt is eliminated). Where other software packages tend to be the products of years of feature creep, YNAB Pro offers you exactly what you need: a simple, straightforward system to manage your money. NOTE: Order YNAB Pro now and receive a FREE digital upgrade to YNAB 3 when it arrives later this year (2009)! How about a Kindle Wireless with a subscription to Forbes magazine. 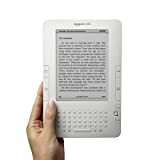 Amazon Kindle â€” a convenient, portable reading device with the ability to wirelessly download books, blogs, magazines, and newspapers. Boiler Room or Wall Street are two great movies to shelve in any financial recipient’s collection. Other great choices are a topseller personal finance book or an audio book. 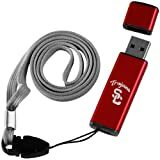 A Sport Fanatic’s USB Flash Drive – It’s a great way to carry around that budget and other important documents a finance person loves to work on at a whim’s moment. *Picture is not persuaded by writer’s favorite college football team. – Ya, right! The Texas Instruments BA II Plus Professional Financial Calculator features all the great features of its predecessor while packing in even more time-saving functions to make short work of complex equations. It’s an ideal choice for entry level and advanced finance, accounting, economics, investment, statistics, and other business classes. It’s also a great choice to bring to the Chartered Financial Analyst (CFA) exam. Its rugged metal exterior, firm-touch keypad and anti-slip rubber feet make it ideal for anyone in accounting, economics, investing, statistics, and related businesses. It also comes with a black protective case. This entry was posted in The Daily Grind and tagged gift ideas for the finances, personal finance gifts on 2009-11-25 by Christine.